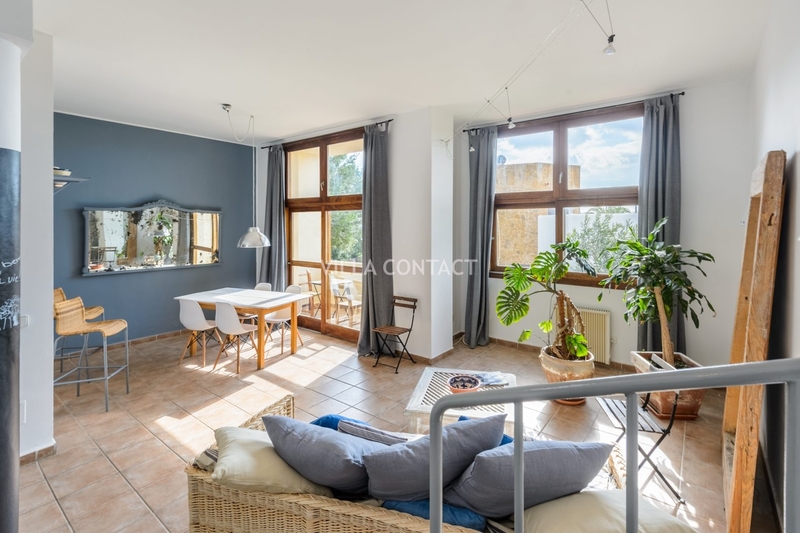 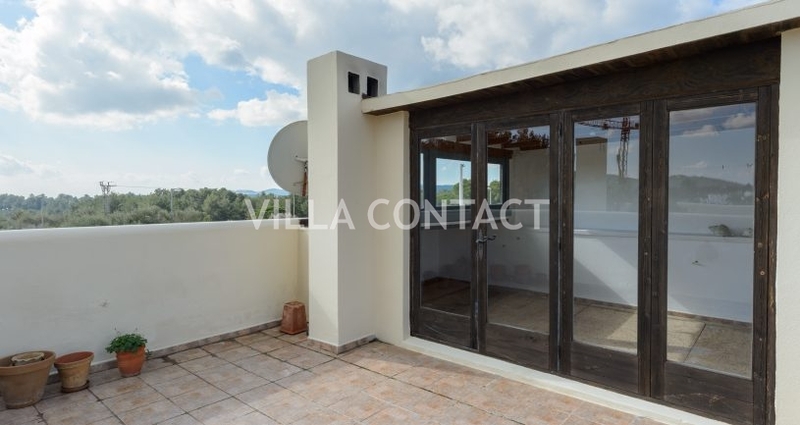 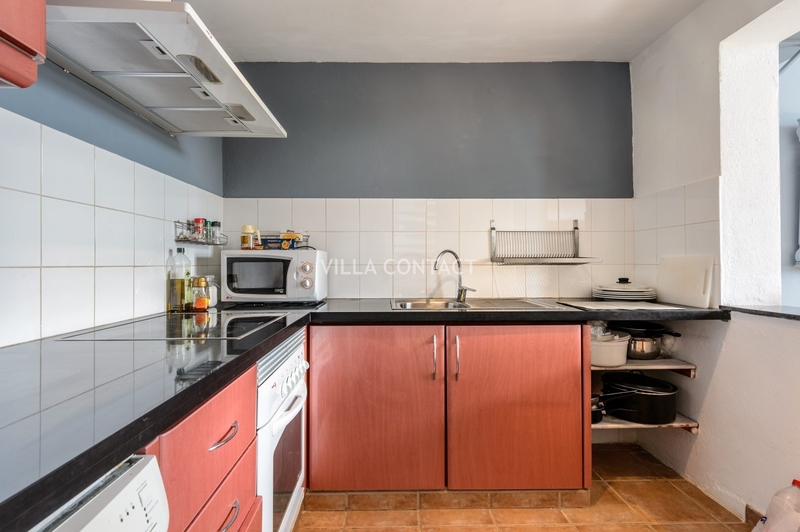 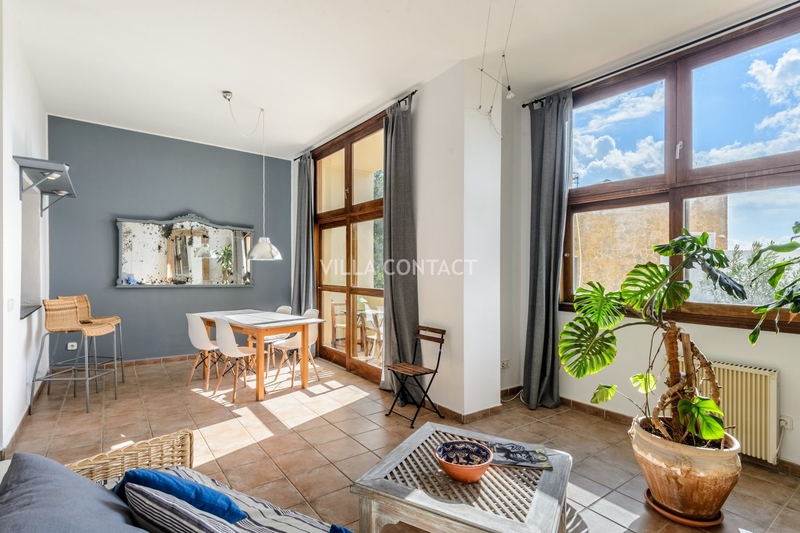 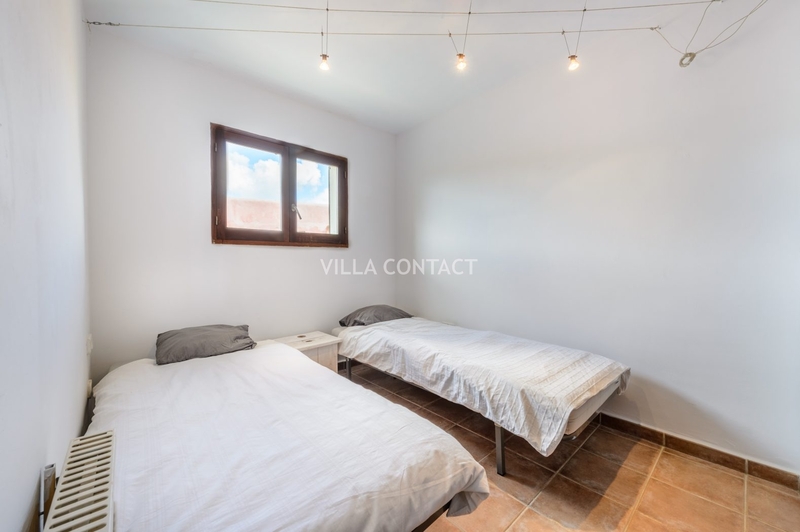 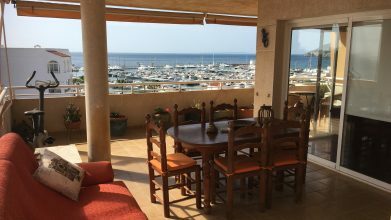 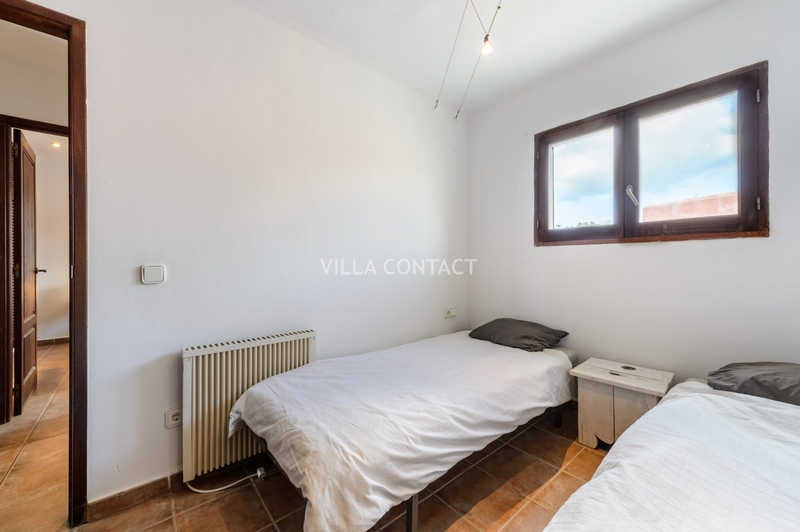 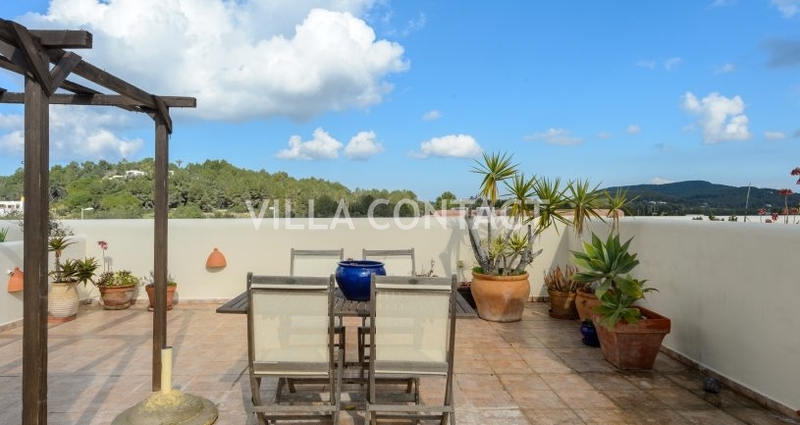 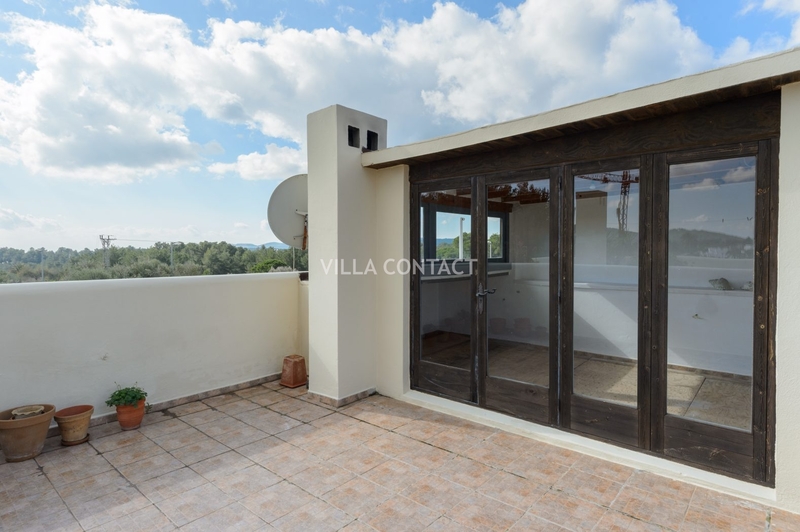 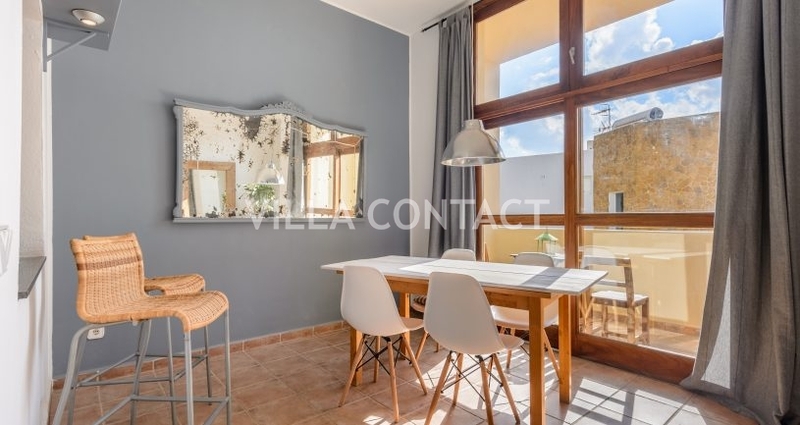 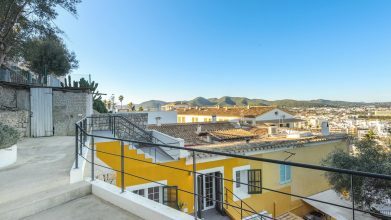 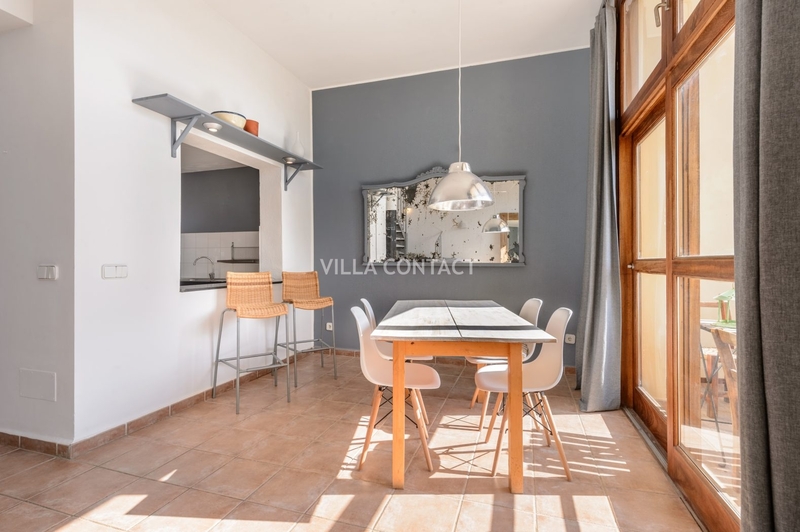 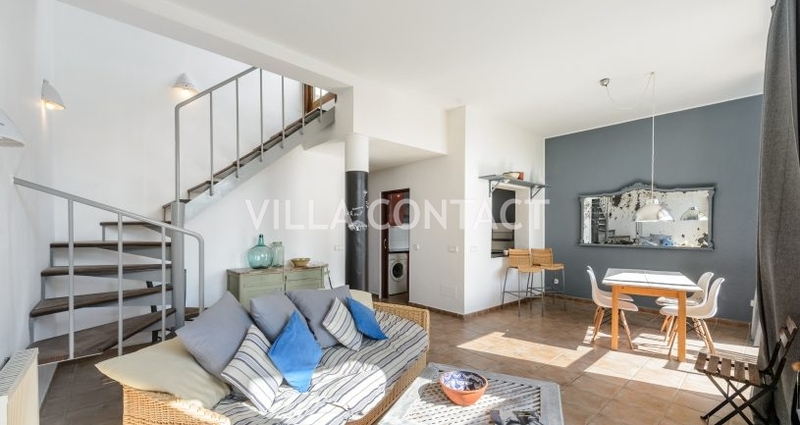 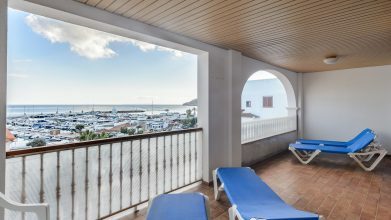 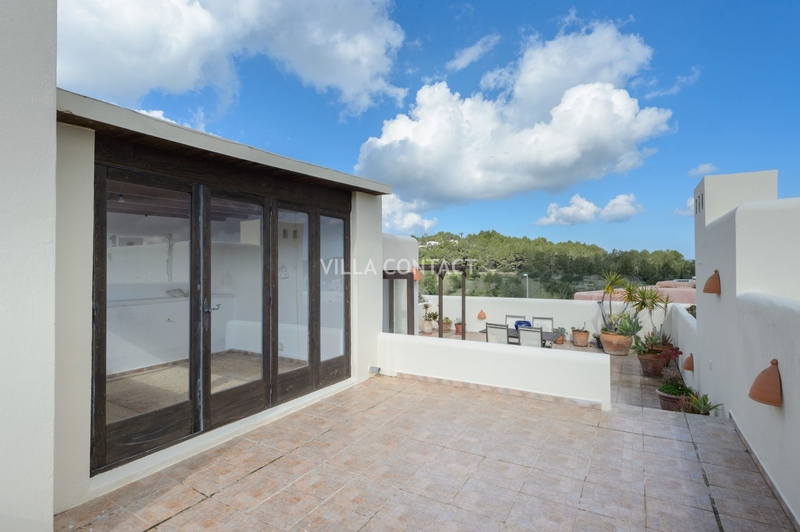 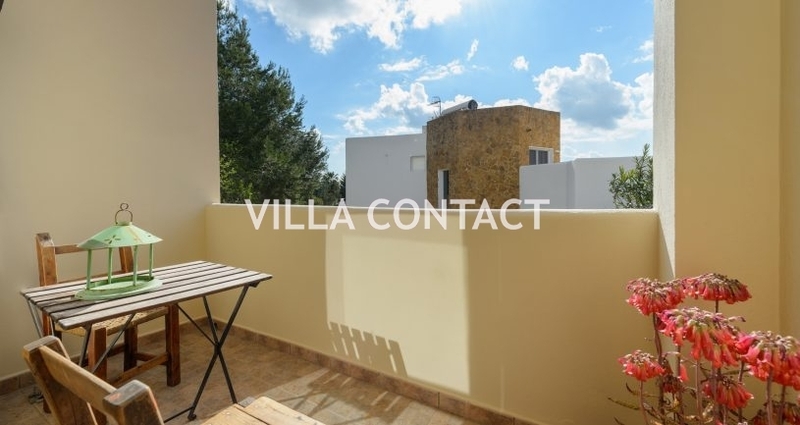 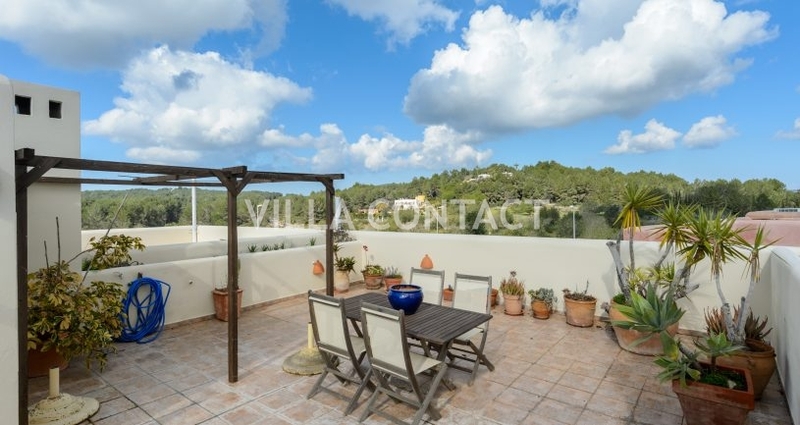 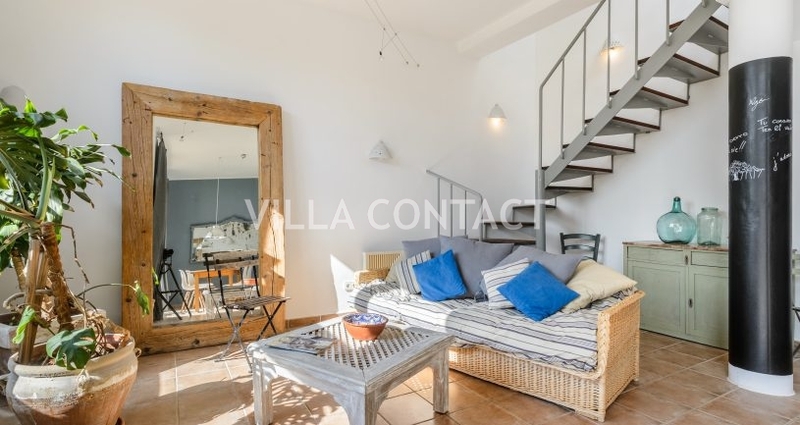 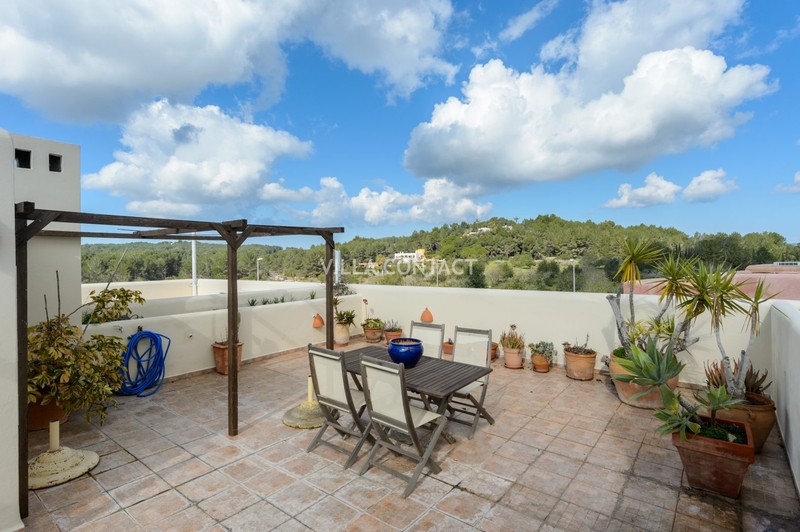 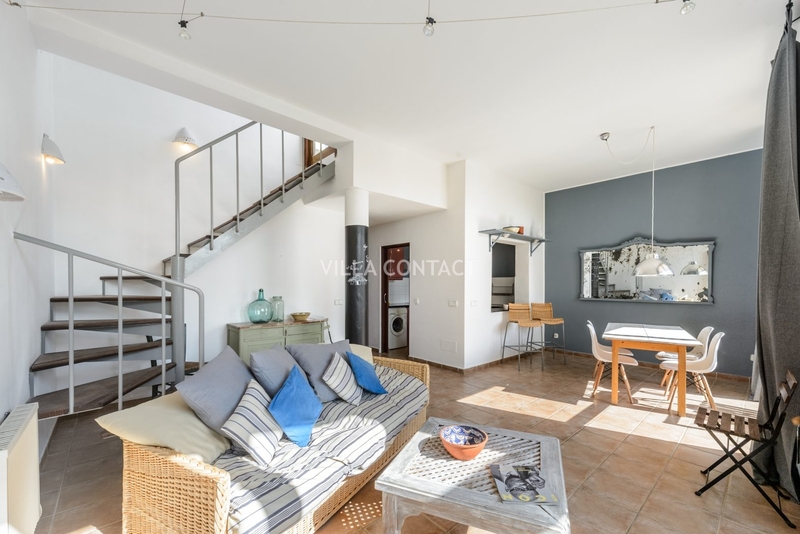 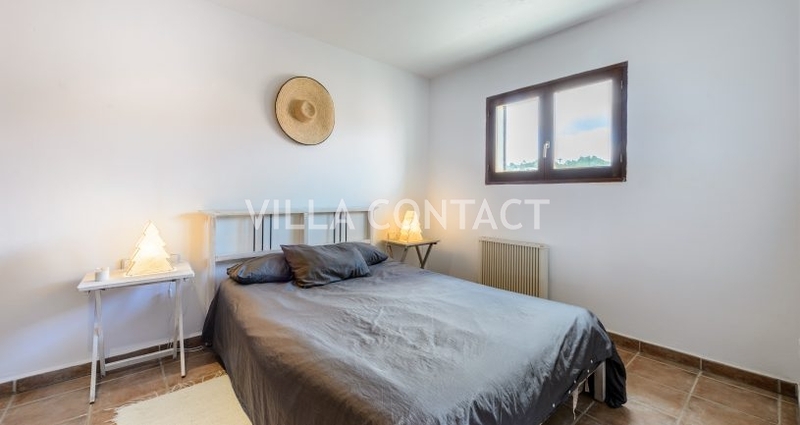 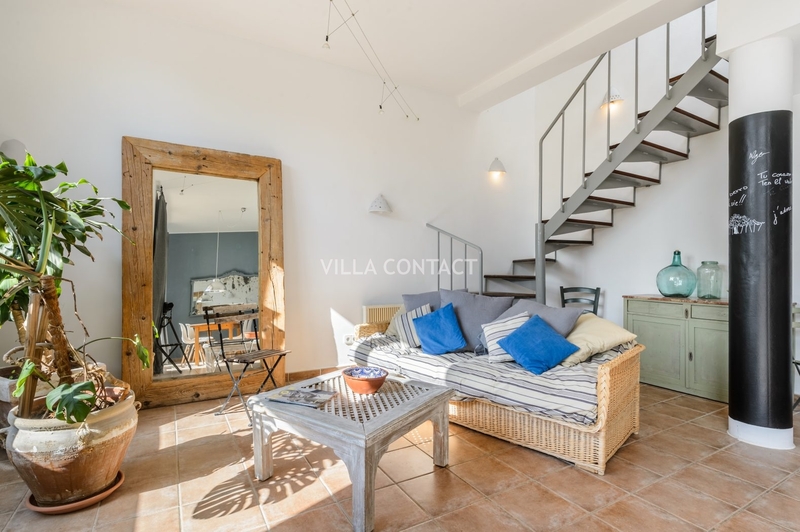 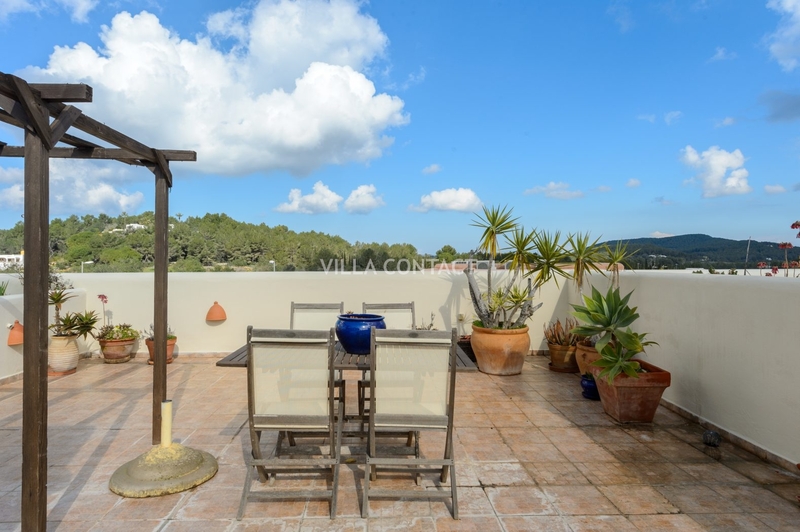 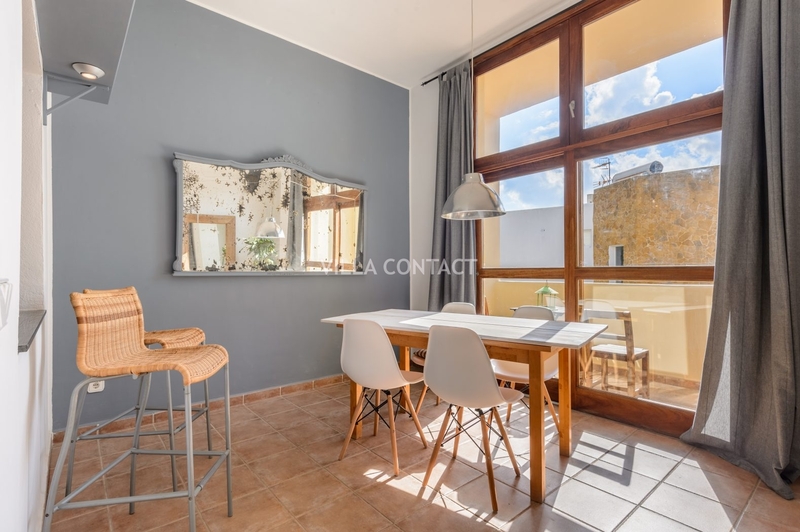 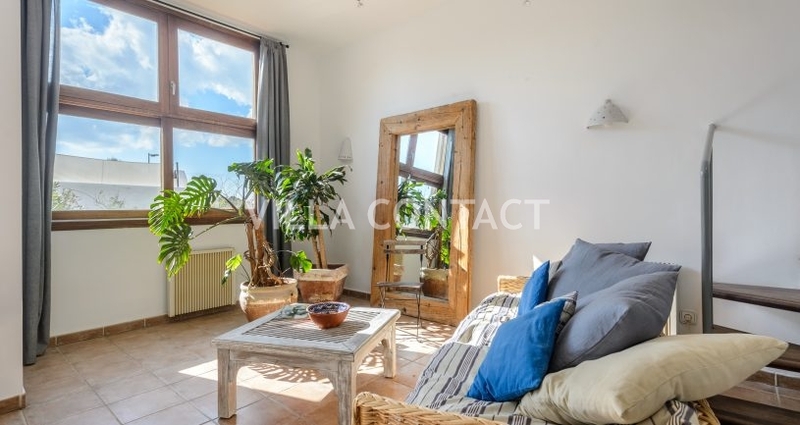 This spacious and bright penthouse is located a few minutes’ walk from the church of Santa Gertrudis, its main square and all the restaurants, cafes and boutiques that make this town so special and loved. 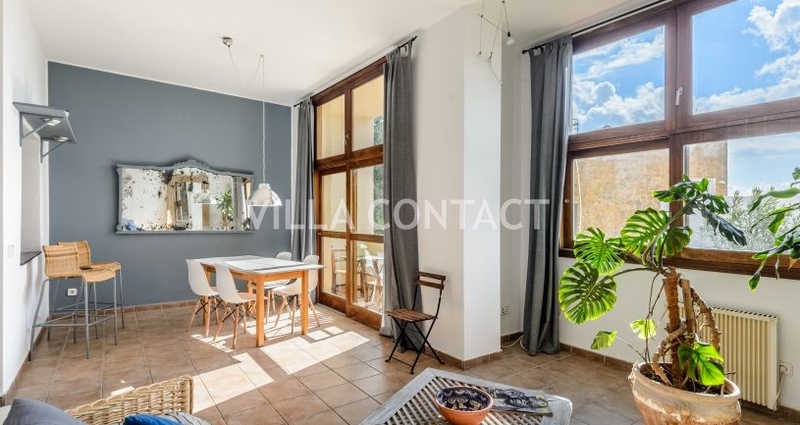 Its living room, dining room and kitchen share a central area with double height ceiling and large windows ensuring that it is always bright and airy. 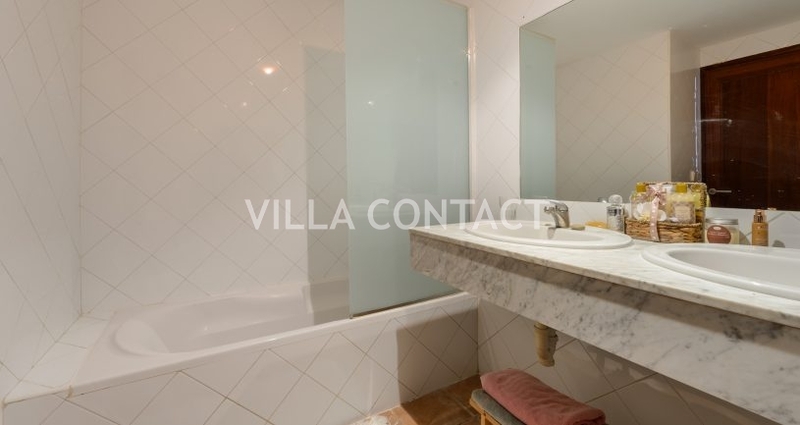 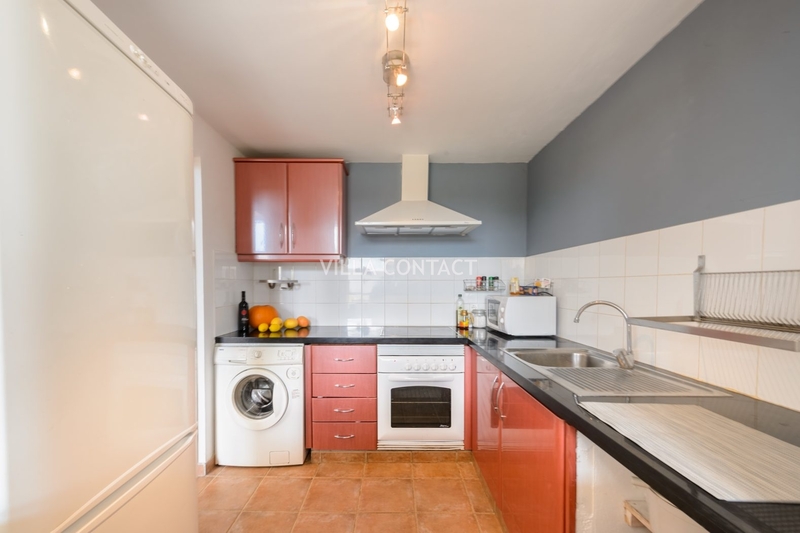 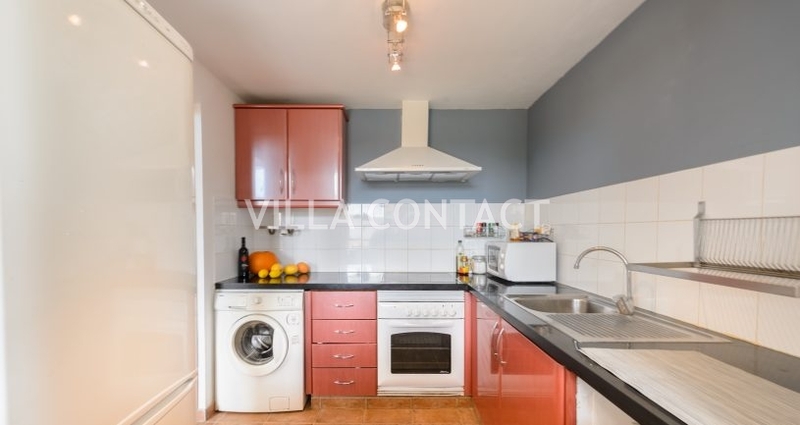 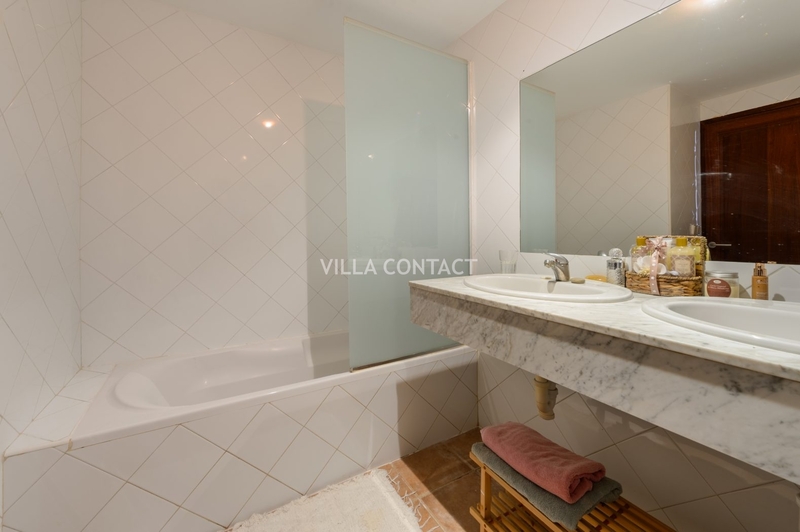 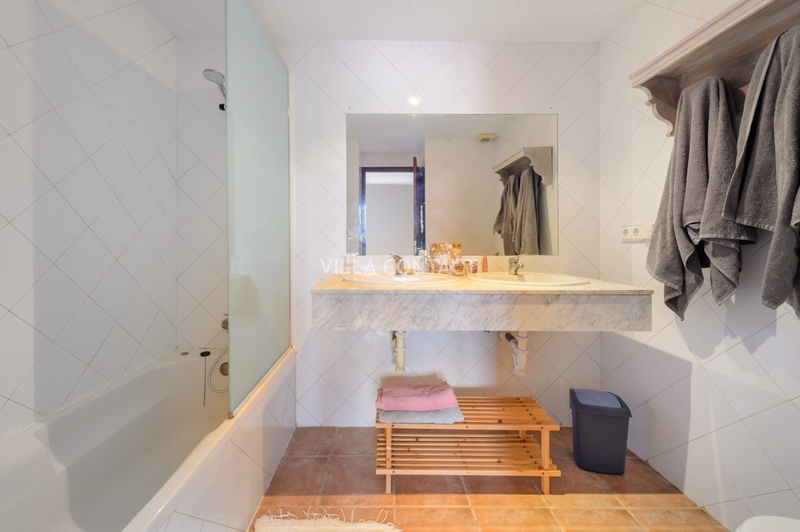 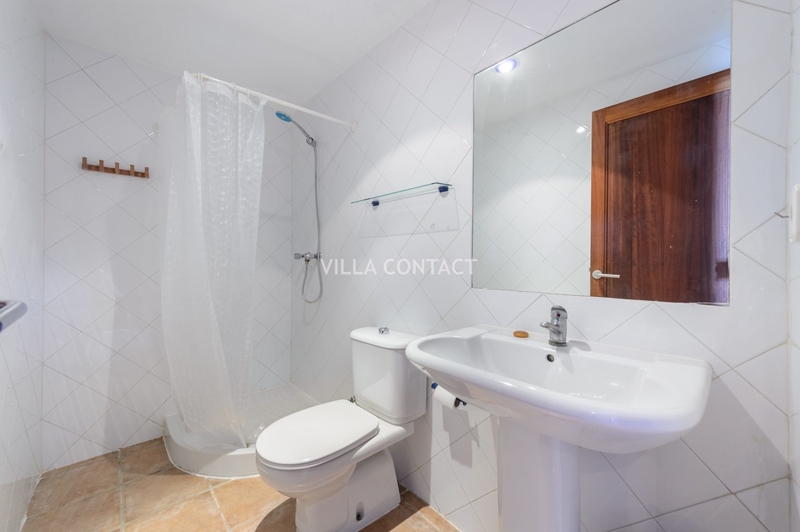 The two bedrooms are of a good size, one of them having an en-suite bathroom. 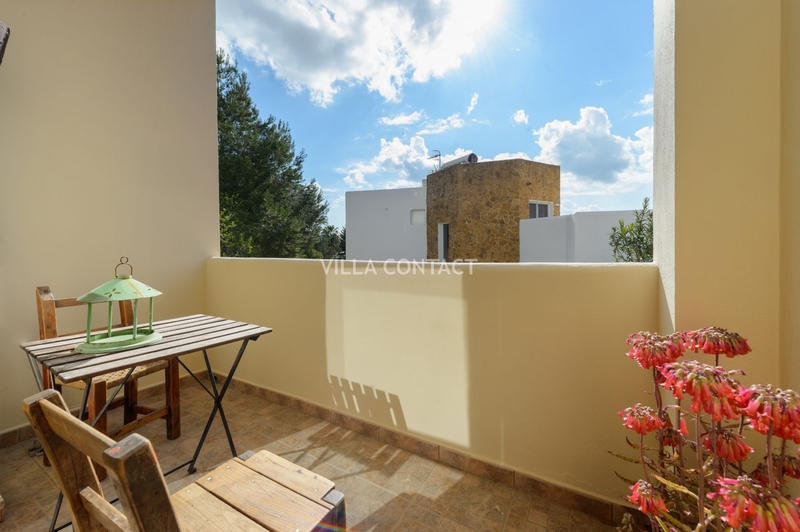 The roof terrace overlooks the lush countryside surrounding the village and receives sun all day long. 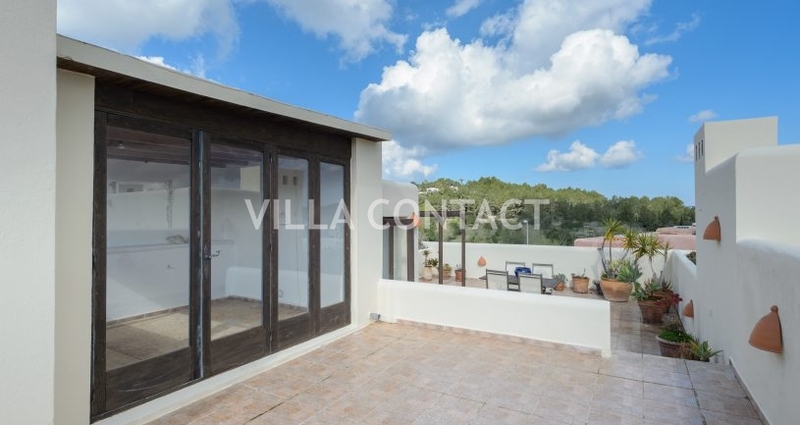 It is equipped with water and electricity, outdoor shower and barbecue area. 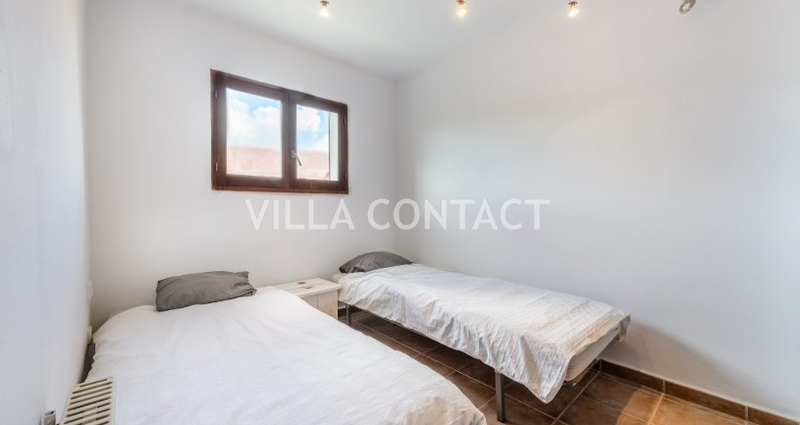 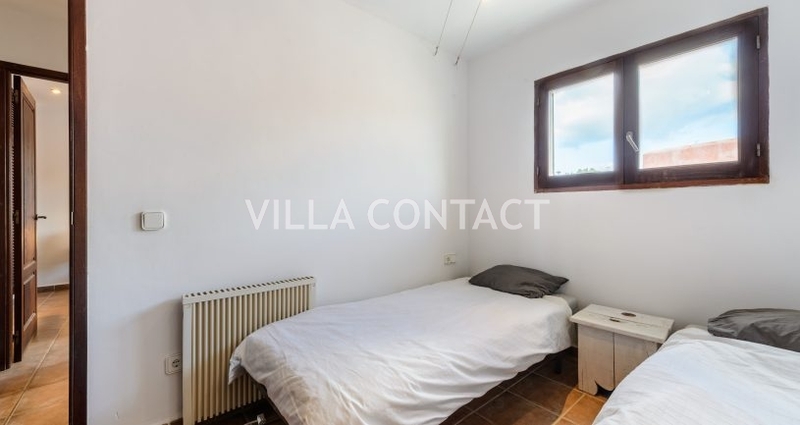 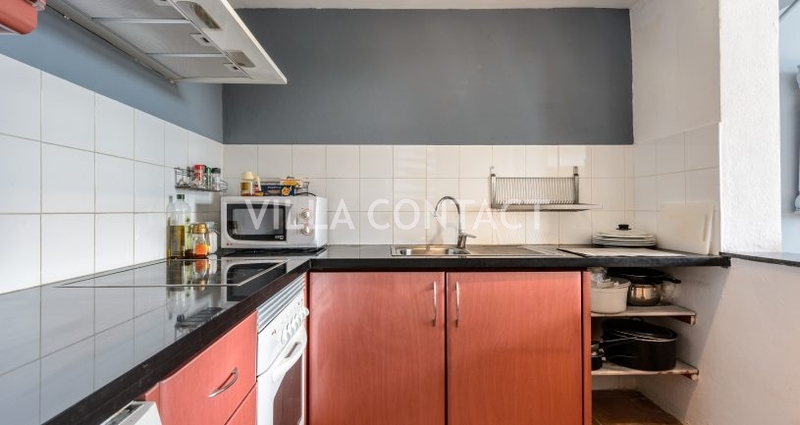 A charming room that is currently used as an art studio has also been added. 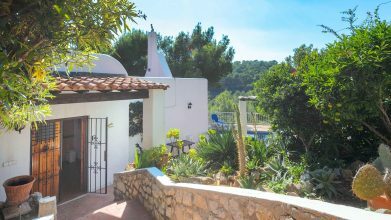 The perfect home from which to enjoy all that Santa Gertrudis has to offer: its social and artistic life, its sports facilities, Morna International College, and its ideal location in the center of the island with everything at your reach both the city of Ibiza and the airport, as well as all the beaches of the island.